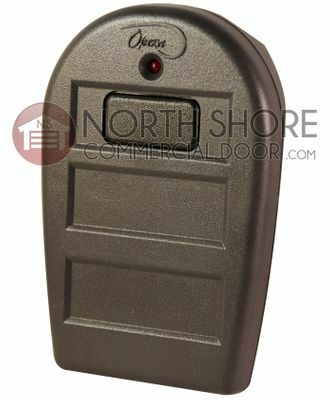 Manaras-Opera® is an elite manufacturer of commercial and industrial operators and accessories for medium to heavy-duty applications, offered by North Shore Commercial Door. Their innovative products include trolley & sliding door operators manufactured to be of the highest quality and durability, in order to withstand the toughest applications. Their signature OPERA™ series of jackshaft and gearhead garage door openers are easy to install and use manually with a self-engaging chain hoist called Hoist-a-Matic® technology. Their engineering expertise, commitment to innovative technology & quality craftsmanship has driven them to expand distribution to serve a global market. 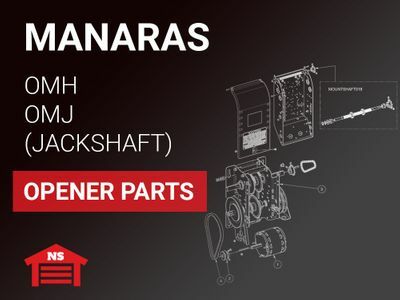 Manaras-Opera® garage door openers are packed with features that make them easy to install and use like Accu-Cam® for precise and quick one-handed adjustment of limits and Hoist-a-Matic® self-engaging hoist (floor level engagement device is not required to operate) for manual operation. Both technologies allow for fast, safe installations and routine maintenance. Manaras-Opera® units also come with a manufacturer's warranty for added peace of mind. Take advantage of unbeatable prices, fast shipping, and helpful technical support when you shop at North Shore Commercial Door. Most Manaras-Opera® products listed on our website are in-stock and ship within 24-hours. If you can't find (or don't know) the item you need, have a question, or need help placing an order, we are here to help! Call us at 440-365-5707 between the hours of 8 a.m. and 4:30 p.m. Eastern time, Monday through Friday or email us at support@northshorecommercialdoor.com anytime with your for assistance.